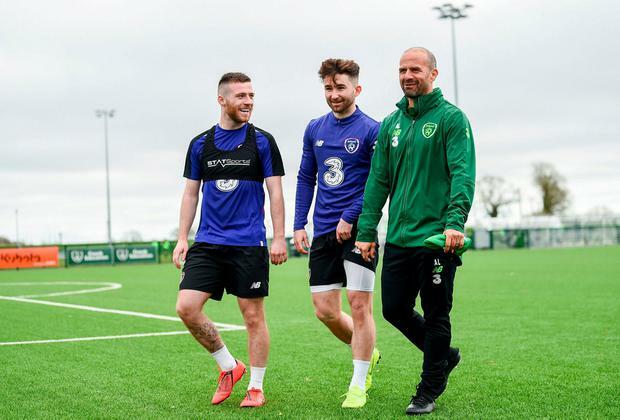 Seán Maguire is in pole position for his first competitive start for Ireland after Shane Long was forced to withdraw from the Euro 2020 double-header with Gibraltar and Georgia. A groin problem has ruled the Southampton player out of the equation with Millwall's Aiden O'Brien taking his place in the 23-man squad that will fly to Gibraltar tomorrow. O'Brien is the only striker available to McCarthy that has scored a goal at international level - his header in last September's friendly with Poland. The other options are Maguire, David McGoldrick and new call-up James Collins. Persistent hamstring problems have prevented Preston's Maguire from really kick-starting his Irish career. And he is being minded this week to stay in line with his training programme with his club. However, he is rated highly by McCarthy and has a strong chance of getting the nod to lead the line against the minnows. One option that is being considered is Maguire playing as the more advanced member of a partnership with Sheffield United's McGoldrick who is comfortable functioning as the link between midfield and attack. The only slight concern for management would be the turnaround between Gibraltar and Tuesday's Aviva Stadium date with Georgia. 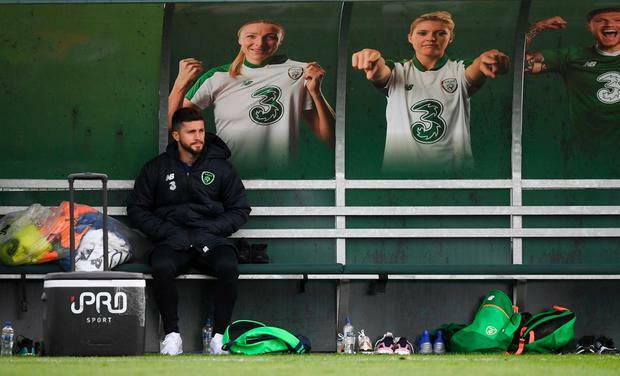 Ireland will have to cope with an artificial pitch in Gibraltar that can take its toll on players' bodies and McCarthy may have to juggle his options accordingly. Meanwhile, England striker Harry Kane says that nobody should blame Declan Rice for opting to declare for the country of his birth. 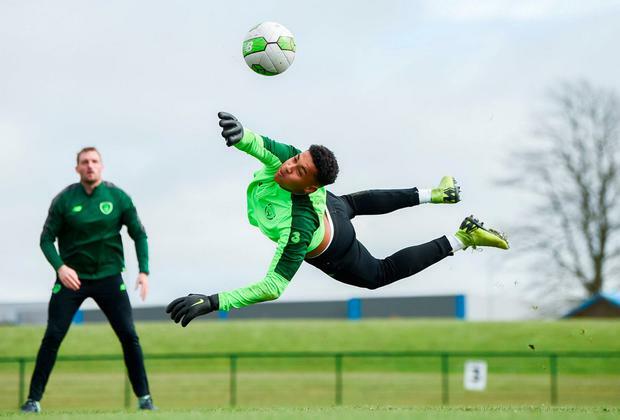 Kane also qualified for Ireland through family connections but turned down the opportunity to pursue a career with England. "I'm sure it was a tough one for him," said Kane yesterday. "He took the time with his family and close friends. I can tell just by being with him for a couple of days he will give everything for his country."